1 Do you already have a franking machine? 2 How much do you spend on mail each month? 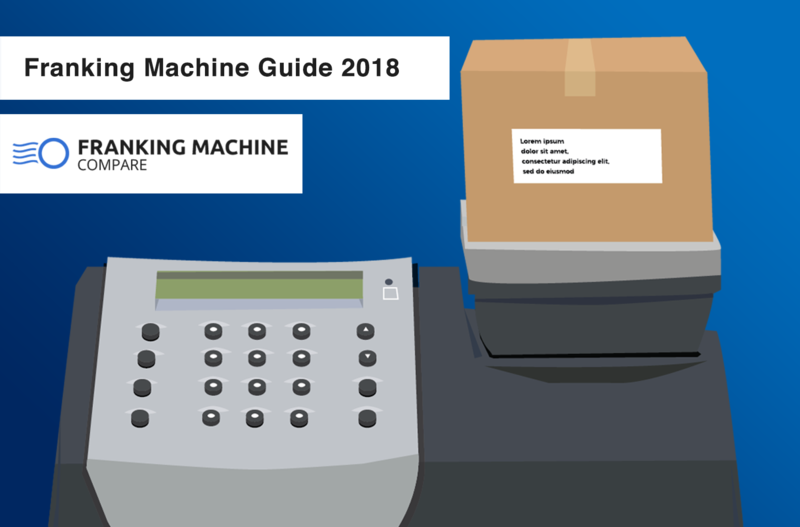 3 How soon do you require your franking machine? 3 What type of company are you? Good news! We've found suppliers that match your requirements. Complete your details to get your free quotes. Postage meters are machines that allows businesses to simplify postage and reduce costs, they work by essentially bringing the post office into your business. You weigh your mail and print the correct postage directly onto the envelope. Using a postage meter means you no longer have to stockpile stamps or keep on queuing in the post office, a postage meter also gives you discounted postage rates so you can save time and money. 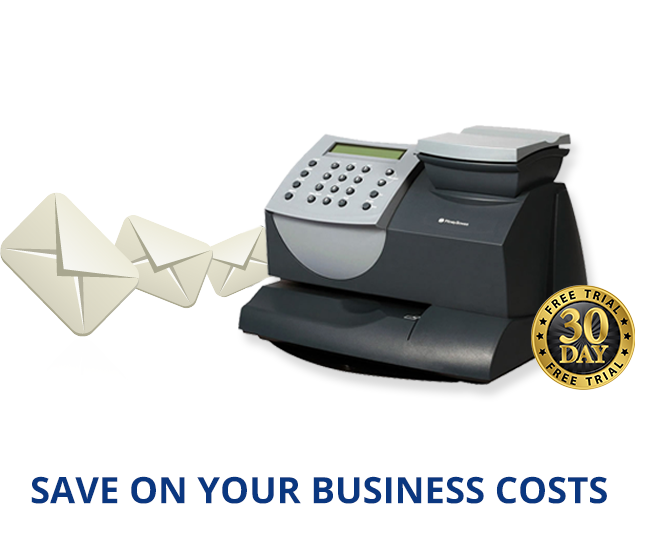 There are postage meters available suitable for all size businesses, many believe they are just useful for large businesses who send masses of mail each day. In fact, postage meters are ideal for very small businesses too, you can get low volume postage meters that are compact, easy to use and allow you to correctly and conveniently mark mail while paying the correct postage rates. A low volume, entry level postage meter is the perfect solution for those with a light mail volume – even one person businesses or startups can see benefits from using a postage meter! Saving Money – Using a postage meter means you are always paying the correct amount to mail items, you will no longer be at risk of overpaying. According to research the average business that switches to using a postage meter will save around 20% on their overall mailing cost. 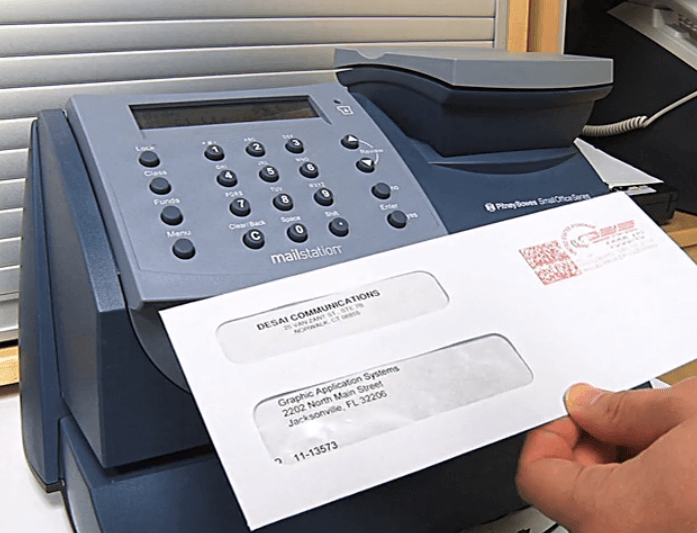 Saving Time – A postage meter saves time as employees no longer have to spend time sticking stamps to outgoing mail or going to the post office to have items weighed and priced. When using a postage meter you will pre-pay the postage by phone, internet or using a prepaid card and then every item you mail will be at a discounted price. Simplify The Mailing Process – Most meters can print postage for any kind of delivery, keeping sending any and all mail straightforward and easily achieved. You cannot actually buy postage meters, however, you can rent or lease them. You are not able to buy a postage meter because the printing of postage is strictly regulated by USPS in accordance to federal law (postage is considered to be currency). These suppliers offer a range of postage meters to suit the needs of all businesses, you are able to rent the postage meter that works best for your business and because you are renting the machine you can easily upgrade if it does becomes necessary. We have chosen and reviewed the very best low volume postage meters for small businesses. The Mailstation 2 is a compact postage meter that fits comfortably on any desk, it has many great features including: an easy to read display, automatic date advance and full report printing. The Mailstation 2 is also Energy Star compliant meaning it has lower operating costs and is better for the environment. This postage meter provides very crisp, clear prints and a range of optional extras including weighing scales and accounting ensuring it is effective and beneficial to businesses. As this is a Pitney Bowes product it comes with Pitney Bowes Intellilink system, allowing you to easily download and update information on your machine. The Mailstation 2 can process up to 18 letters per minute and is designed to handle around 100 letters a month, making it perfect for use by small businesses. This postage meter could save your business up to 25% on postage thanks to the exclusive USPS discounts. This postage meter will cost around £25 per month to rent. 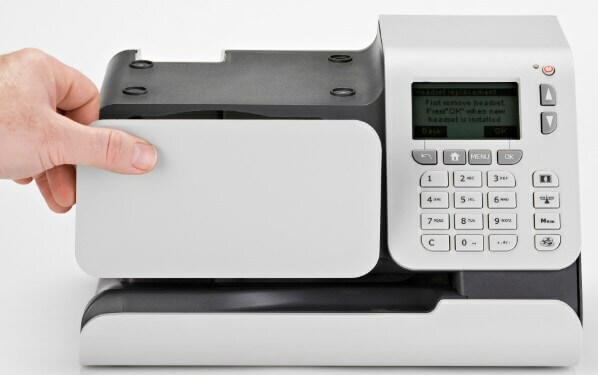 The Postbase Mini is an entry level postage meter, it has an ability to process up to 17 letters per minute making it perfect for new businesses who send as much as a few hundred items a month. This postage meter includes a built-in weighing scale, a touch-screen display and PIN security making sure sending mail is always accurate, easy and secure. It also comes with RemoteOne software to enhance its functionality and has optional ReportOne software available which provides additional accounting and reporting features. The Postbase Mini is small and quiet making it a perfect addition to even the smallest offices. This postage meter will cost around £30 per month to rent. The Neopost IN-360 can process at a speed of 45 letters per minute with a recommended daily print rate of 200 items, it is perfect for growing small businesses as it is a highly capable, easy to use machine that operates very quietly making it suitable for any office environment. This user-friendly postage meter includes a weighing platform, has IN-360 Rate Wizard to assist with postal rate calculation, will alert you to low ink and is also PIN protected for security. You can also add personalised, promotional or advertising messages onto envelopes using the Neopost IN-360 to help strengthen your brand and draw positive attention to your company. An estimation of the Neopost IN-360 is around £35 per month. The Hasler WJ20 is a compact postage meter than can work at a speed of 20 letters per minute making it perfectly suited to start up businesses, it allows those who send low volumes of mail to experience the cost and time benefits of using postage meters. This compact, lightweight postage meter has been designed to fit in any office; it is simple to operate and enables you to print a logo and promotional message onto envelopes giving your mail a more professional appearance. Any postage charge changes will be quickly and efficiently dealt with by the machines Information Based Indicia system. The Hasler WJ20 is simple to use and has a basic design making it ideal for the smaller businesses that want to try a postage meter for the first time. To rent the Hasler WJ20 will cost around £20 a month.